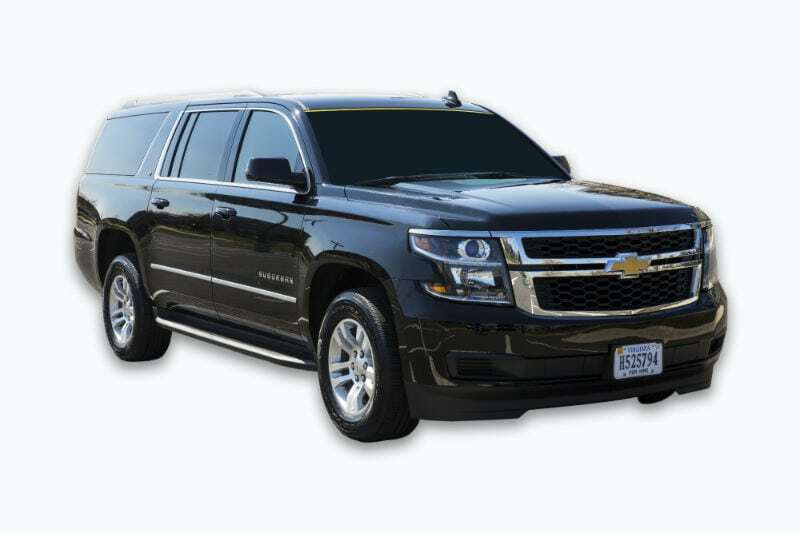 We pride ourselves on providing superior luxury transportation services by having the latest technology and newer models in our fleet of 250 vehicles, and on earning the highest safety ratings from the U.S. Department of Transportation and U.S. Department of Defense. 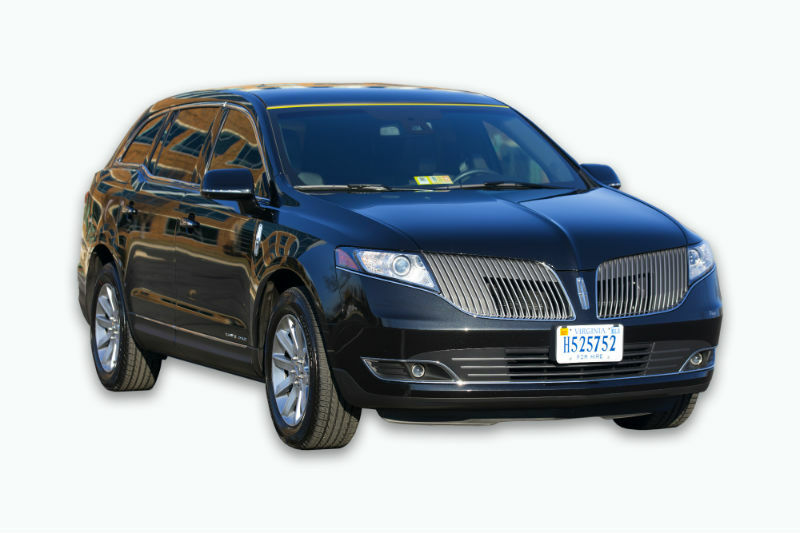 Our comfortable sedans offer the convenience of a mobile office with Wi-Fi and electric outlets. Up to 3 passengers. When you want more legroom, our SUVs can accommodate 6 passengers in comfort. 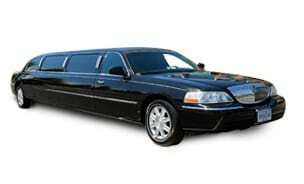 The epitome of luxury, our limousines come equipped with a plush bar, TV/DVD, intercom and more. Available for up to 8 passengers. Get the party started in our Mercedes Sprinter with custom leather interior, flat-screen TVs, USB connections, Wi Fi and power outlets. Seats up to 10 passengers. 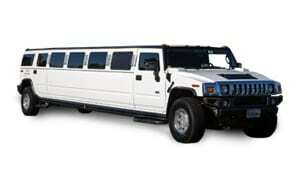 Style with an attitude, our Hummer limo comes equipped with a plush bar, TV/DVD, intercom and more. 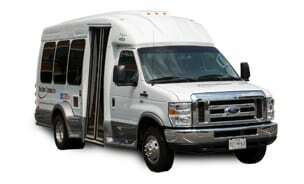 Accommodates 14 passengers. 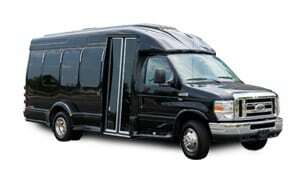 THE party bus for weddings, bachelor/bachelorette parties, birthdays and other special occasions. 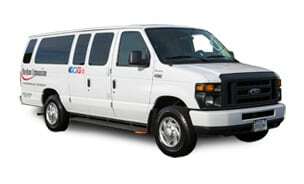 Up to 20 passengers enjoy three wet bars, light system, DVD/CD player and more. Able to handle extra luggage, our passenger vans come equipped with your choice of cloth or vinyl interior. 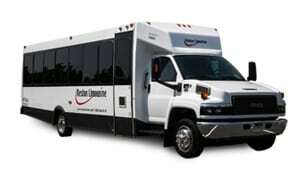 Accommodates 13 passengers. Our flexible Van Terras offer optional amenities including tables, power outlets, luggage compartment, surround seating and wheelchair accessibility.Accommodates 13 passengers. Executive Van Terras provide a step up in luxury, including leather seating, high-gloss table and the latest in audio/visual technology such as Bluetooth, high-definition video and digital surround sound. 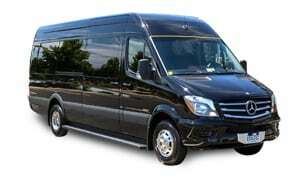 Accommodates 13 passengers. 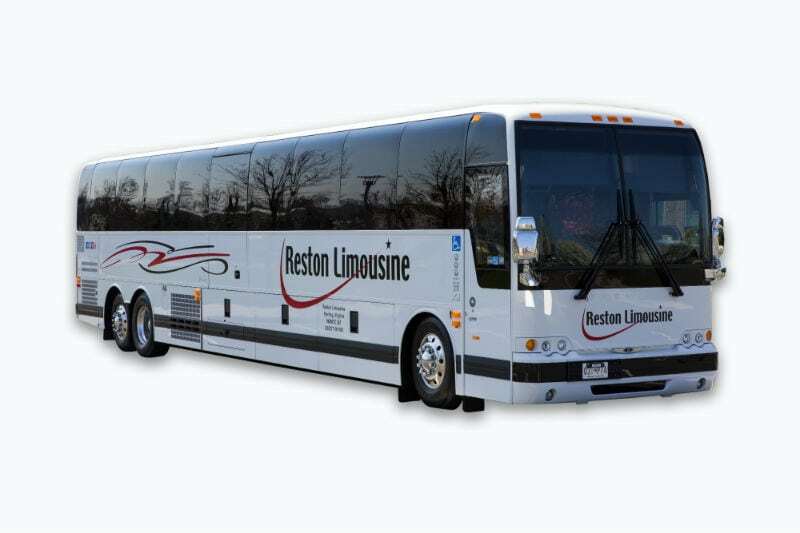 Our full-size coach buses can accommodate up to 55 passengers and are used for out-of-town day and overnight trips. 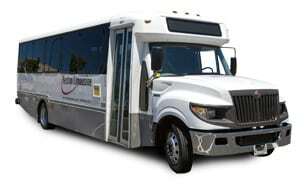 Amenities include lavatory, Wi-Fi, electrical outlet (select vehicles), TV/DVD, and public address system. 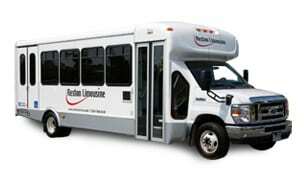 Our wheelchair-accessible buses and Van Terras offer secure and reliable transportation choices for all the guests in your group. Vehicles safely hold up to 2 wheelchairs on board.